Daisy Soap, the flower that always brightens the day. Perfect gifts for weddings, bridal or baby showers and spring parties. 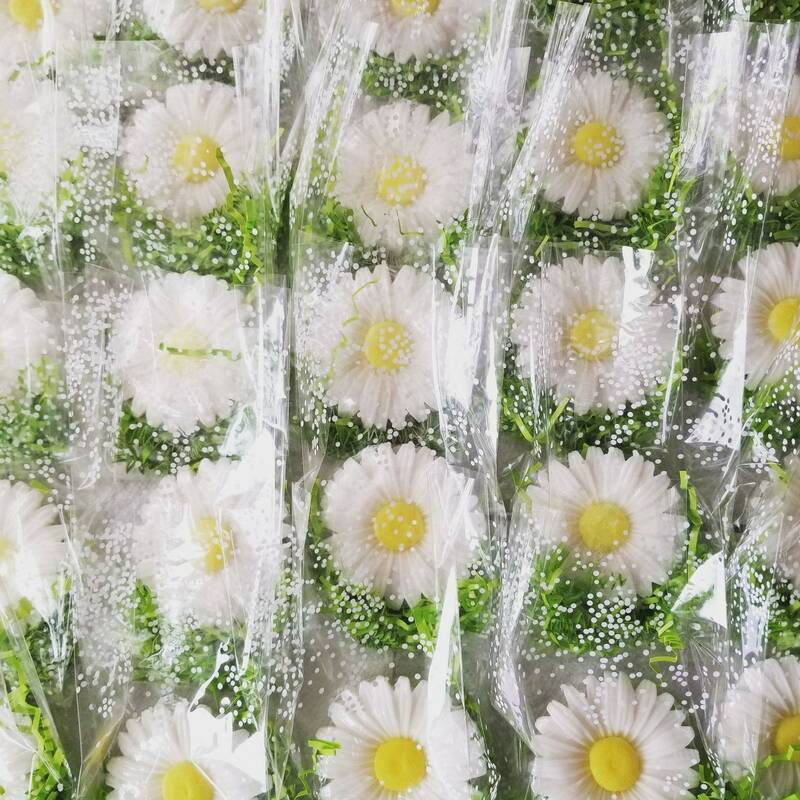 Daisies soaps add a beautiful touch to table decorating. Soap is 3". 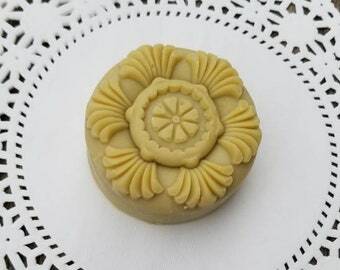 Color / Scent - Because daisy soaps are handmade to order we do not offer a list. We can accommodate almost any color combination that fits your theme. Your order is being made especially for you at the time you place it. As a result, colors and weights may vary slightly. Please allow up to 7 days before these will ship via USPS. Daisy Soaps are Vegan, Natural Glycerin soaps, Paraben Free, Phthalate Free, No Propylene Glycol, with no animal products or animal testing. Ingredients: Coconut oil, Palm Oil, Safflower Oil, Glycerin (kosher, of vegetable origin), Water, Sodium Hydroxide (saponifying agent), Sorbitol (moisturizer), Sorbitan Oleate (emulsifier), Oat Protein (conditioner), Titanium Dioxide (natural mineral whitener), Cosmetic Colorant, Fragrance.